The rocker glam look has gained serious traction in fashion circles, and the style is defined by its edgy and bold dress cuts that are still delightfully opulent. Whether you're heading to a formal event or are simply trying to make waves at a cocktail party, your footwear could make or break your ensemble. Sometimes the best outfits are those that combine accents from other traditional styles to make a completely different one. Whether you're choosing between evening dresses or short dresses for your next formal event, a pair of colorful cowboy boots could be a chic counterpoint to your attire. You can choose to pick a color of boots that perfectly matches your outfit for a uniform look, or you can opt for a color blocked style by wearing a lighter or darker shade of the same hue or boots in a complementary color. 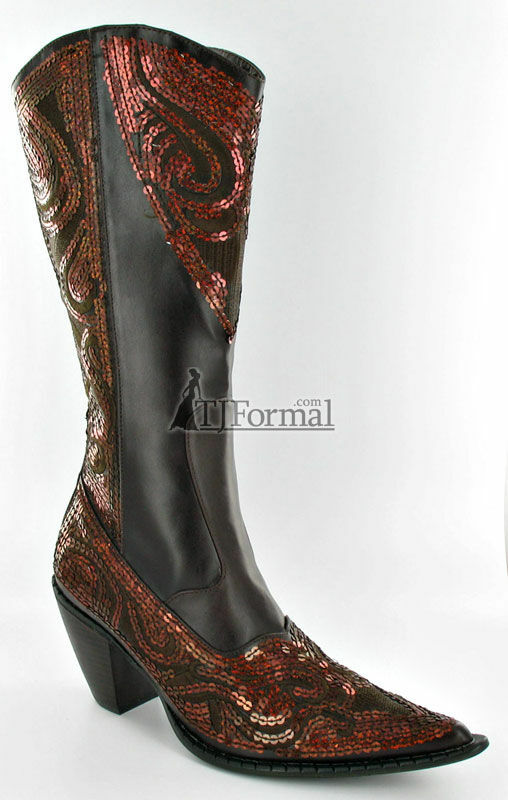 Footwear can make an outfit absolutely dazzling or cause it to fall flat, so give your next formal ensemble a bit of attitude with some unexpected colorful cowboy boots that are sure to be the finishing touch on a stunning get-up. So fun and funky! I LUV that you guys carry fun things like this!